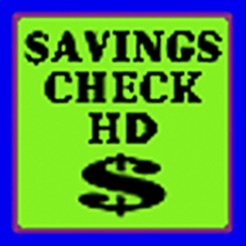 This utility provides a check on your long term savings. 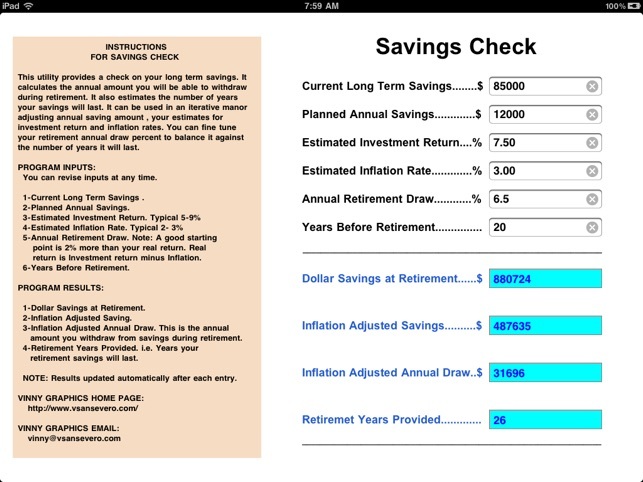 It calculates the annual amount you will be able to withdraw during retirement. It also estimates the number of years your savings will last. It can be used in an iterative manor adjusting annual saving amount, your estimates for investment return and inflation rates. You can fine tune your retirement annual draw percent to balance it against the number of years it will last. Revised to accommodate updated operating system.